Grayson was out of town the first part of this week, and I decided that the kids and I needed a ridiculous meal. "Ridiculous" in the sense that if you thought that pancakes couldn't get any less healthy than when they have chocolate chips in them, you'd be wrong. And aside from the fact that I couldn't cook without a recipe to save my life (LITERALLY, TO SAVE MY LIFE), I also tend to take food prep photos at night. With props like orange bowls. So clearly I have no future as a food blogger. So I took pancake mix and blended it with milk, oil and an egg, as directed on the box. MAN, that orange bowl makes it look nasty. Anyway, then I added a few chocolate chips. A few. Not too many. Certainly not three-quarters of a bag. After they were mixed in, there didn't seem to be as many chips in there. See? Then I wasn't sure I'd put ENOUGH of them in there. But I persevered. And I sprinkled them on the bubbling pancakes, liberally. They sort of looked like cookies baking in an oven! It would seem like there was absolutely nothing healthy in there, but I REMIND YOU, there was an egg. When they were perfectly browned, I stacked them up on plates for everyone. There's never been a less healthy pancake, probably ever. But uh-muh-guh, they were GOOD. Feel free to use my very complicated, completely from scratch recipe and make your own batch. I'll take your word on them. I have never been one for chocolate for breakfast foods. Don't get me wrong, chocolate desserts, chocolate candy, hot chocolate, but not in pancakes. (Oh, I can't stand Maple syrup either). Give me blueberry or raspberry syrup! We eat chocolate chip pancakes about every other Saturday. It's the only day of the week we can sit down as a family and have breakfast and not be rushed. May have to add sprinkles next. I'm up for anything unhealthy. I have a 32 pound 4 1/2 year old, he needs more sugar anyway. My children are INSANE and don't like chocolate. Seriously. Insane. 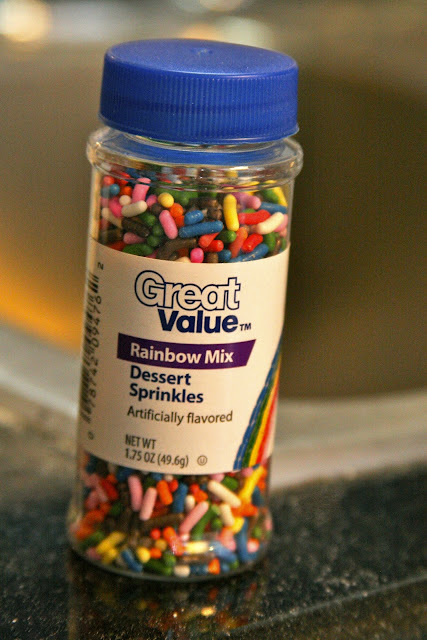 But, I will try them with the sprinkles. Marvelous!